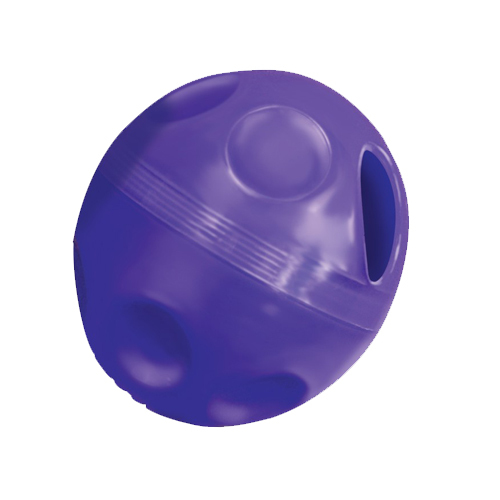 The KONG Treat Ball is an exciting and challenging treat dispenser for cats that helps promote healthy exercise. Fill the ball with treats and watch your cat chase the ball. Put a tasty treat in the Treat Ball by KONG and watch your cat start to chase it! It is a fun and exciting toy that helps promote healthy exercise. The unpredictable and fun movements help keep your cats entertained for a longer period of time. Have you used KONG Cat - Treat Ball before? Let us know what you think about this product.